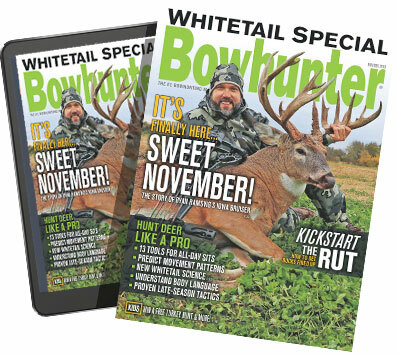 Recruiting more young people is a hot topic among bowhunters, because the future of our sport rests heavily upon the shoulders of a new generation. Carbon Express understands how important this issue is, and they have responded with some youth-friendly offerings. "In the past, we made a variety of arrows like our Predators, which are a great starter arrow. We've expanded that line now so that it includes 600, 700, and even 800 spines. This means that someone shooting a 25-inch arrow at 25 pounds of draw weight can shoot an appropriately spined arrow," said Rezmer before continuing, "We have a lot of youth coming out of the NASP program and they are buying their first bows. The bows feature light draw weights and the kids really enjoy shooting them, but they don't necessarily want to shoot aluminum arrows. This is where our Predator arrows come in." Quality arrows that fit pint-sized archery setups will help foster more archery enjoyment and encourage kids to keep shooting and eventually try bowhunting. Nothing could benefit the archery industry as a whole more than that.